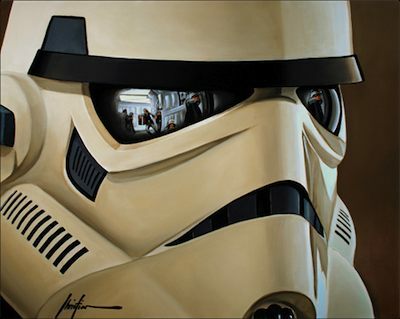 They are part of a series of paintings from Christian Waggoner, featuring close-ups of famous helmets in the Star Wars universe. 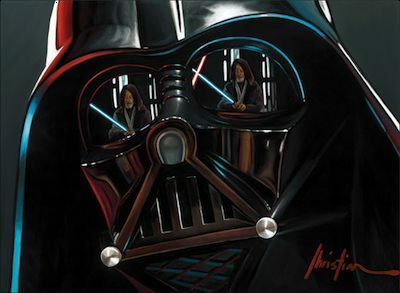 Don’t you just love the reflections? 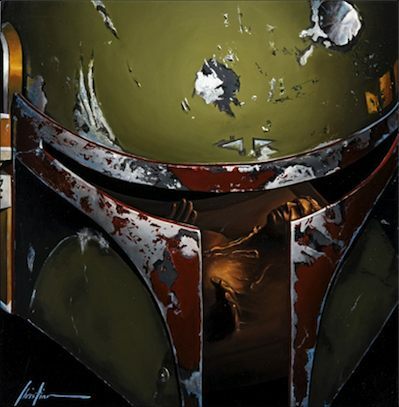 The paintings are all available in limited edition paper and canvas prints on the Acme Archives website.